I just got word today that the Econo Lodge at the Orlando Megabus stop is to soon close for renovations. A random search on the Choice Hotels website shows that the Econo Lodge to be unavailable as of at least May 25. The front desk clerk that I spoke with said that the upgrade is expected to take six months to complete. The news caused me some anxiety about my next Disney vacation. The clerk did console me with the news that a Comfort Inn is on International Drive about a half-mile away. He said that it runs shuttles to the parks and features several amenities. I'm not sure that I want to wait for a cab in an empty parking lot though. 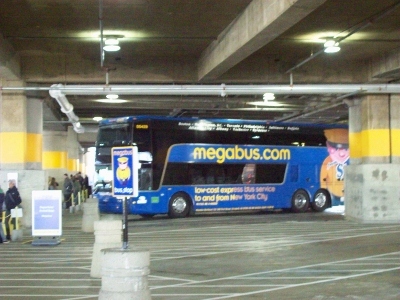 Megabus does operate a second stop in downtown Orlando. Getting to Disney from there will require a cab so I called Mears Transportation for a quote. It's a little pricey. The operator estimated 23 miles. I got one-way quote of $70 - $74 to go from Church Street and Garland, over to the Pop Century Resort on Disney property. Ouch! It cost under $200 for me to drive from Chattanooga to Pop Century last fall. I sure hope that Megabus can work something out at another hotel. Bus stops are often in flux with this line. Always check the details before booking or leaving.